Divergent angle seat boards isolates hamstrings and reduces lower back strain. Variable cam resistance over full ROM. Pivot points placed precisely at knee level for biomechanical movement. Adjustable foot rollers adapt to all leg lengths. 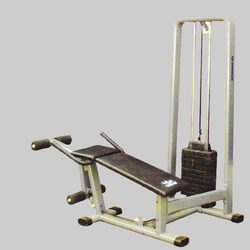 Available with us are Leg Curl Machines, which are designed for performing various exercises. These machines are manufactured using the advanced technology and are assembled under the supervision of qualified engineers. 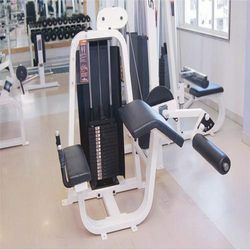 Demanded widely in gyms and health centers, these machines are appreciated for durable finish standards. Preparation Sit on preacher bench placing back of arms on pad. Grasp curl bar with shoulder width underhand grip. Weight Stacks: Black painted steel weight plates with self aligning low friction sleeves.